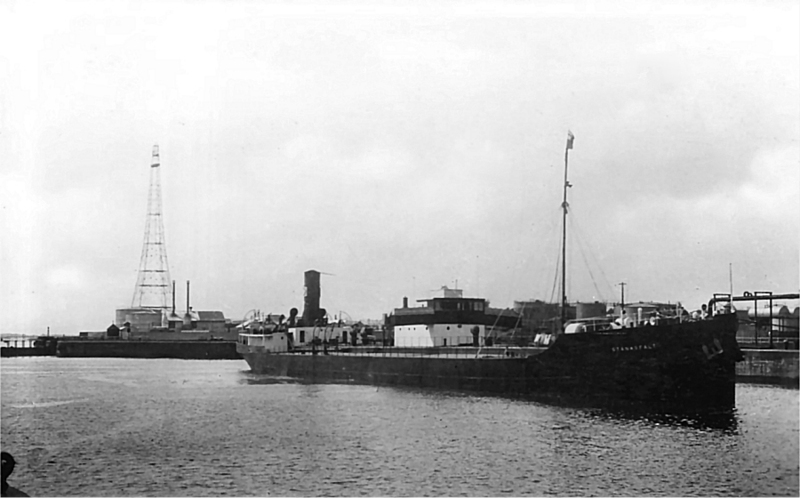 "Stanasfalt"was build in 1929 for the Baltisch-Amerikanische Petroleum-Import GmbH, Danzig. In 1930 sold too the Soc. Auxilaire des Transportes, Rouen. In 1939 to he Standard Francaise des Petroles, Rouen. In 1940 confiscated by the Germans. Renamed in 1941 as "La Pallice" for the German Navy. 25.8.1955 near Lagrange in the Gironde, sunken by the Germans. The Miramar Ship Index for "STANASFALT"
Scuttled 25 Aug 1944 in the Gironde off Lagrange, cut up in sections 1945.